It's time to party like a rockstar! Ha! As much as you can without leaving the comfy of your home. It is time for the Tuesday Archive Link Up Party where every post gets their second chance. So link up one of your most favorite posts that you think should get a little more love and then visit some of the other posts. Tell them you found them on TALU! Week getting off to a good start, I hope. Well you are here and it is time to parrrrtay. You heard me. Pull up a chair, grab some coffee or tea...and stay awhile. It is time for the Tuesday Archive Link Up where every post gets their second wind. This link up is brought to you by....me and these other lovely ladies and we couldn't do this without them. It isn't so gloomy everyday. Time to get out and hoe up our garden to get things planted as the last frost settles in. I really want to do something different this year garden space wise but don't have a lot of time/money so whatever is decided it will have to be done between the hubs and I, pretty quick. It is only 6x6 so not too terribly big and overwhelming but would allow enough room to grow the essentials. 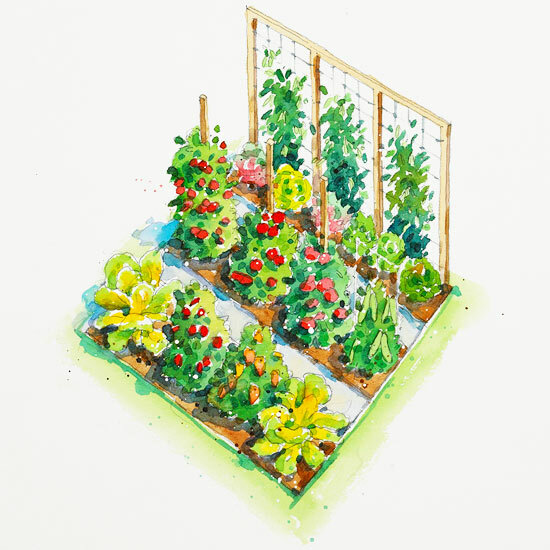 And I love the trellis (or whatever you call it) for the vine vegetables to grow up. It was similar in size just without the trellis. Either one we will have to dig up some more space because our current garden runs down the side of our house and isn't that big. Which one do you like? 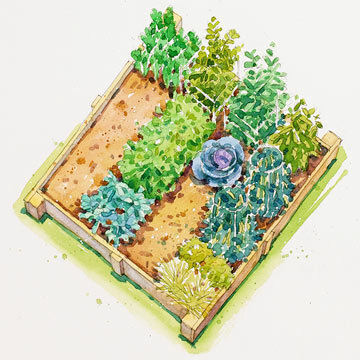 Visit Better Homes & Gardens for other garden space ideas and to print your own FREE garden plan. This is not a compensated post. This post is strictly me sharing with you a great link I found. The link is not an affliate of I'm Not Superwoman. So here I am. I haven't posted a MPM post in a quite a while and my dinners are a mess. By the time I get home (with my new hours) I am just throwing together whatever...and that is clearly evident. I need to get back to being better organized with my meals. For not only my own sanity and health but also for my childrens. So here goes it. Here is what I have planned for this week. There that wasn't too bad. Now I just need to stick with it. I have everything, no need to run to store to get anything at this point. So we are good. I hope. 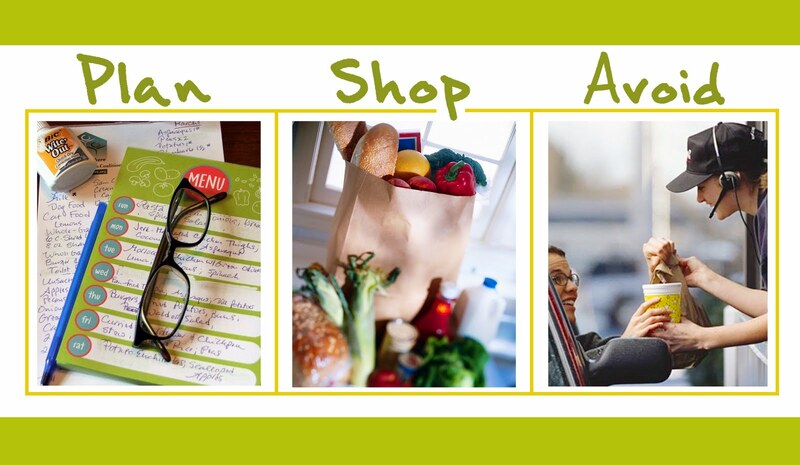 I am linking up my menu plan with I'm An Organizing Junkie. What are you cooking this week? Stumped for ideas? Check out some of the links. Lots of inspiration. Yes, I know it is Friday which is why I titled this post Weigh In Wednesday FAIL. I failed to weigh in yet again this week. Yup. I haven't even gone to the gym this week, yet again. My new hours have not been very conducive to heading to the gym after work. By the time I pick up kids, get home, spend some time with them, cook dinner, clean up, spend some more time with them, bathes, some quiet reading time with the kids and then bed....yeah, not a whole lot of "go to the gym time" in there. And since the gym is where I have been weighing in. I don't own a scale at home. You get the picture. Thus no weigh in. I need to buy a scale and just start working out at home. That is a novel idea. I think I will buy one, a scale but not sure I will get motivated to work out at home. I guess I could. Technically. But see above paragraph about early evening/night routine. Not sure where to fit it in. I did, however, get the office gym paperwork for access this past week. Yes, there is paperwork about proper use of the equipment and a liability waiver. So I could sign that and then start working out at the gym in our office on my lunch. I think that might be my better alternative because once I get home just too many other things to do. So there it is. Another fail. Not proud. I really want to stay on track and hope that by not working out, I have not regained what I have lost. I am going to try my darndest to get to the gym this weekend but it is shaping up to be a jam packed weekend with lots of other activities. Starting off tonight with the Rock & Worship Roadshow. I am so excited. We go every year and it is such a blast! Have you ever been? But I know I just have to make going to the gym a priority this weekend and fit it in. I don't feel like I have gained anything. My clothes are still fitting as loose as they have been some even more so. Like that Compassion shirt in my update photos. I think I need to take another one and show you. Since we are on fails, I haven't been to many of my favorite blogs that I typically read and comment on this week either. You know who you all are (see side bar for some of my favorite people/blogs). Hope you all are doing well. I hope to get over to visit soon. It is supposed to hover around 60 today so not to cold for standing in line for the concert and it is Friday so...be blessed and have a GREAT day!